The Ultimate Precision "Pro Series" Pack includes 3 professional plug-ins that are part of a new collection called “Pro Series” Plug-ins. 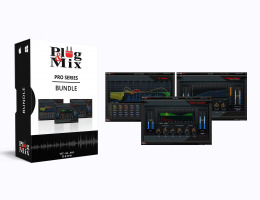 The “Pro Series” plug-ins have been designed to reflect the need and requests of P&M’s most demanding professional customers that use the "V.I.P. Series" plug-ins in their daily tasks.